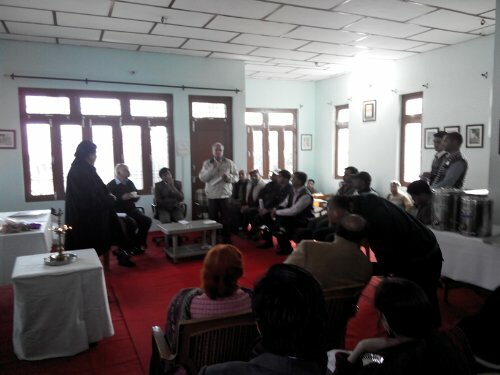 Dr Paul Rasu, DC Kangra, urging the participants to spread awareness about Kangra Miniatures. 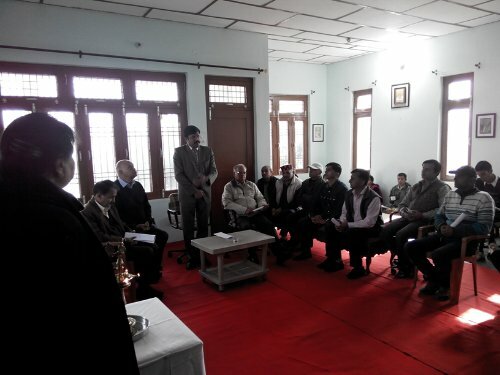 The new premises of Chitera School were inaugurated by Dr. Paul Rasu, Deputy Commissioner, District Kangra, Himachal Pradesh. 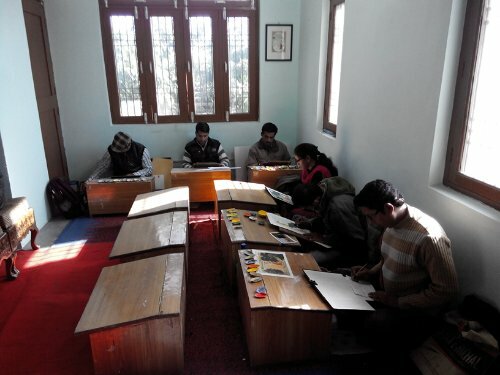 The studio will be used for providing training to the next generation of artists in Kangra miniature art. The facility will also host a gallery of paintings. Mr K C Sharma, retired IAS office, sharing information about Kangra miniatures with the audience. Resident artists of KAPS in the studio section. 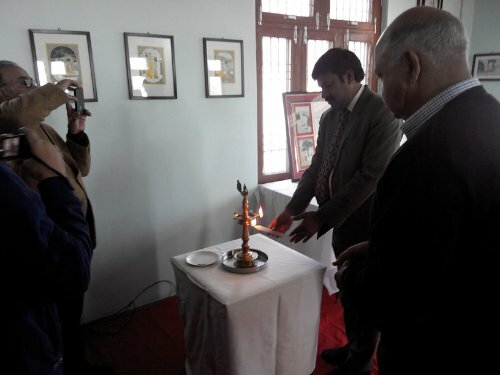 Dr Paul Rasu, DC Kangra with Dr Akshai Runchal, inaugurating the new premises of KAPS.